Green gold is generally produced by alloying with various percentages of silver, copper, and cadmium to give different hues of green. Whilst both white and red gold are still relatively popular in watch cases you don't see green gold all that much anymore. It seemed to have had its heyday in the earlier decades of the 20th century. Perhaps it is now considered too old-fashioned? 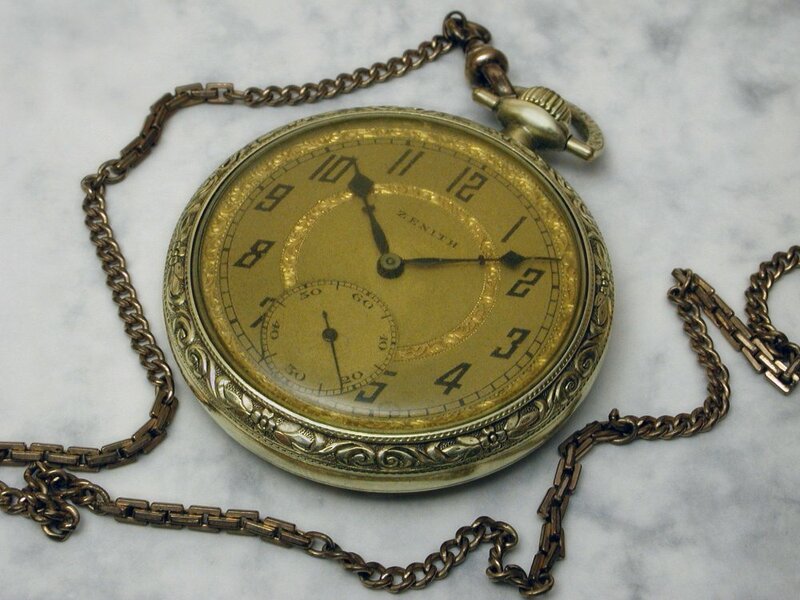 I like the mellow look green gold can give and it is encountered fairly often when collecting older watches. 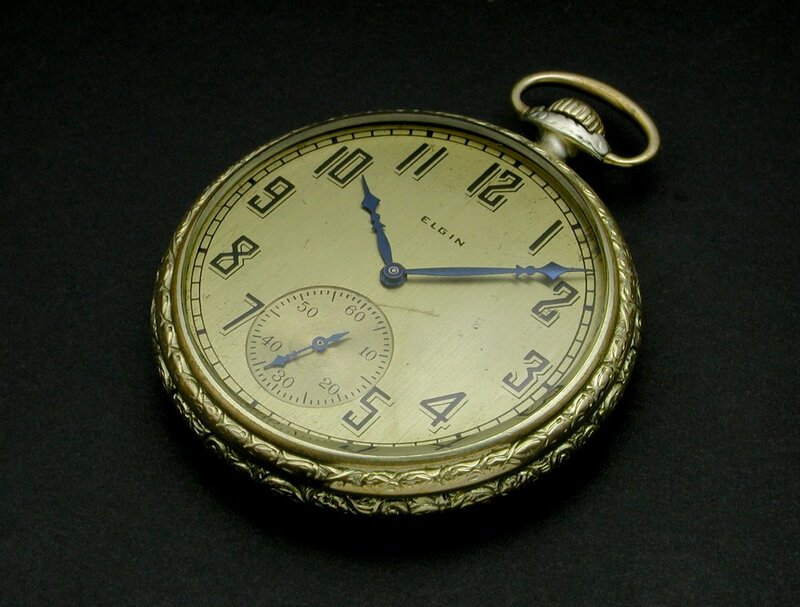 What vintage watches, wrist or pocket, do you have in this not-so-common coloured gold? (Or gold filled, et al - multi-coloured gold cases also, as long as they include green). Let's see them. 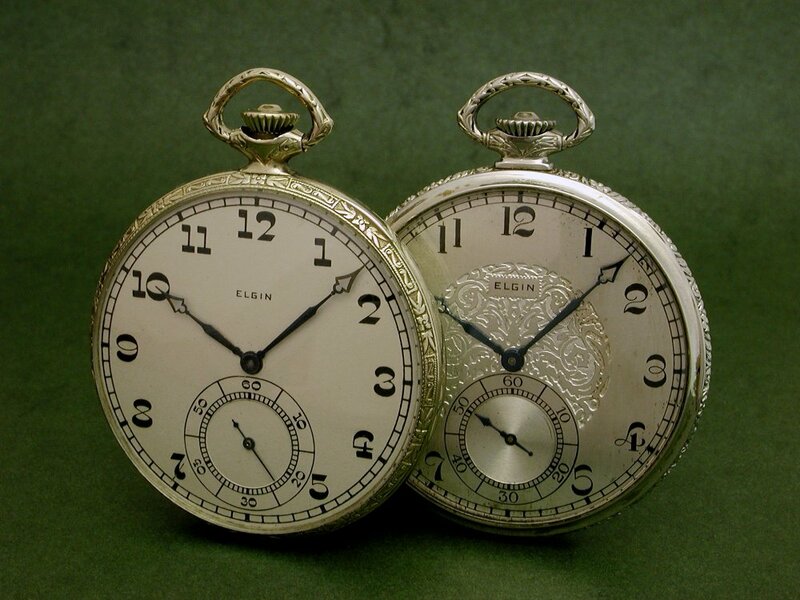 Here's some watches I have in green gold filled cases. 1920 Illinois Model 3 "The Autocrat". 1922 Elgin Grade 452 G. M. Wheeler Streamline (on the left). This shot of the casebacks illustrates the difference between the green gold filled case (on the right in this pic) and the white gold filled case on the other Streamline watch. 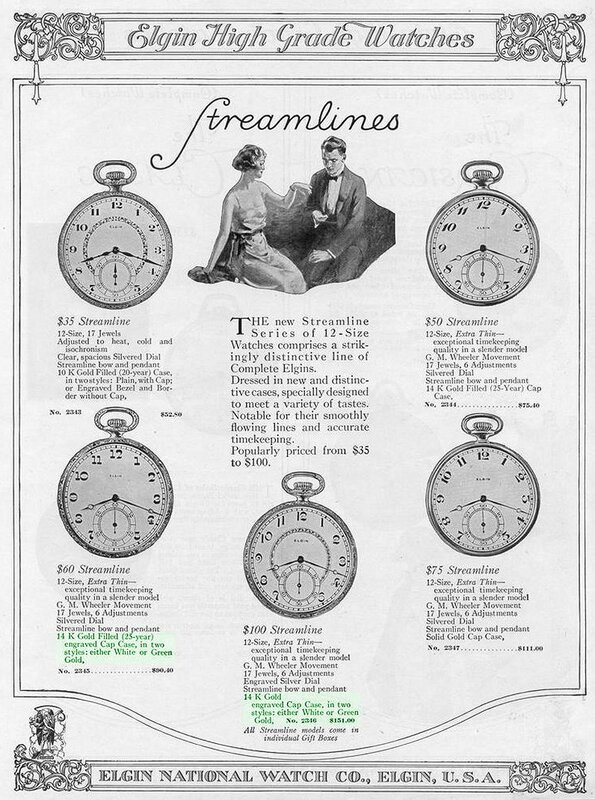 Here is a near-contemporary 1923 Elgin ad for the Streamline range. 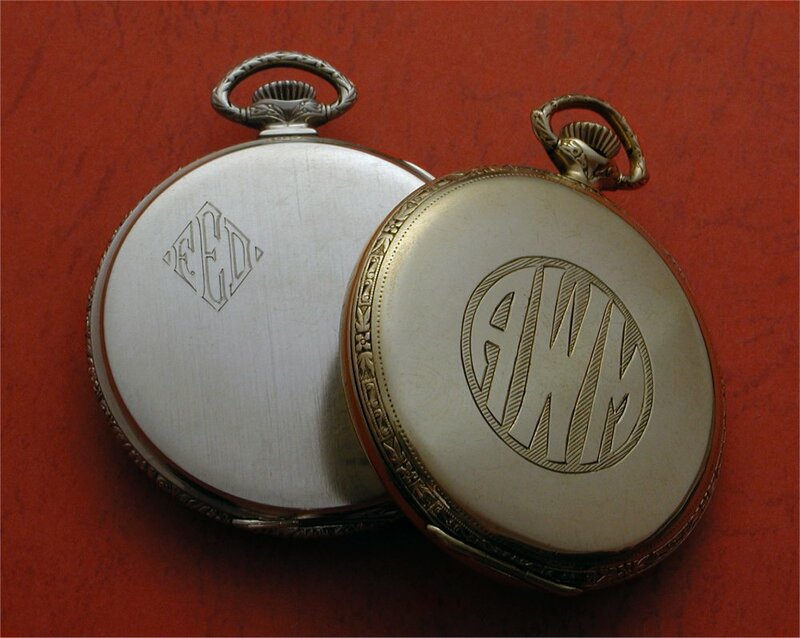 Note that on the bottom left and center models the cases are offered in either green or white gold or gold filled. 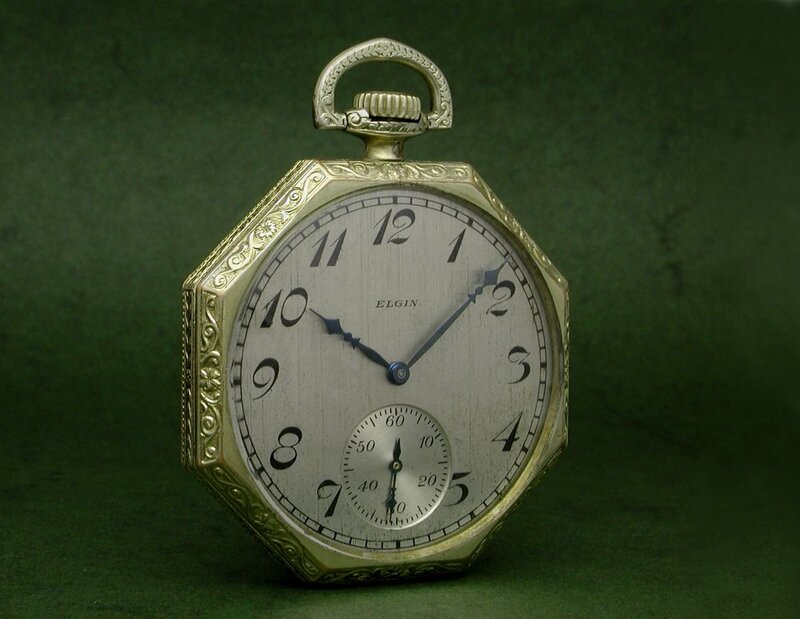 Here's a few other watches in green gold filled cases that I have photographed. 1922 Hamilton Grade 910. 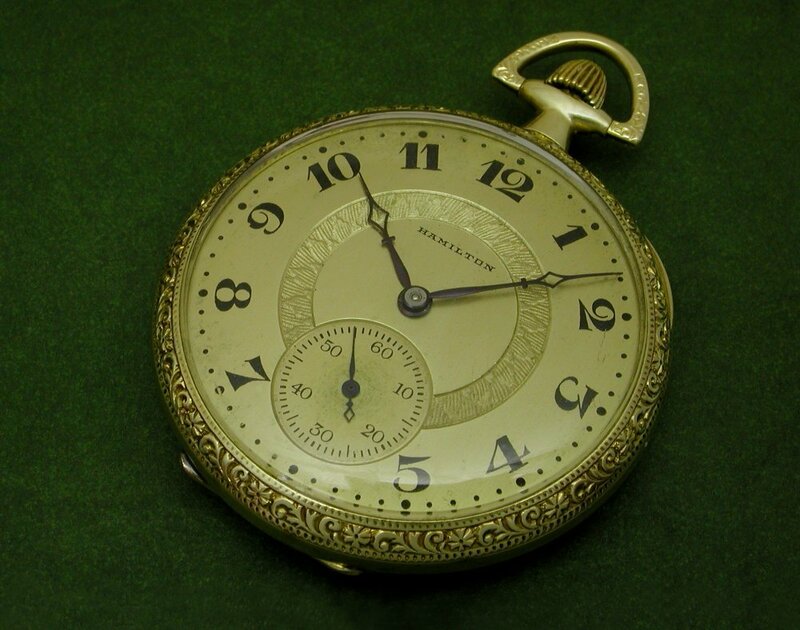 This very nice watch also has a definite green hue to the dial, making for a very attractive piece. 1920s Zenith. 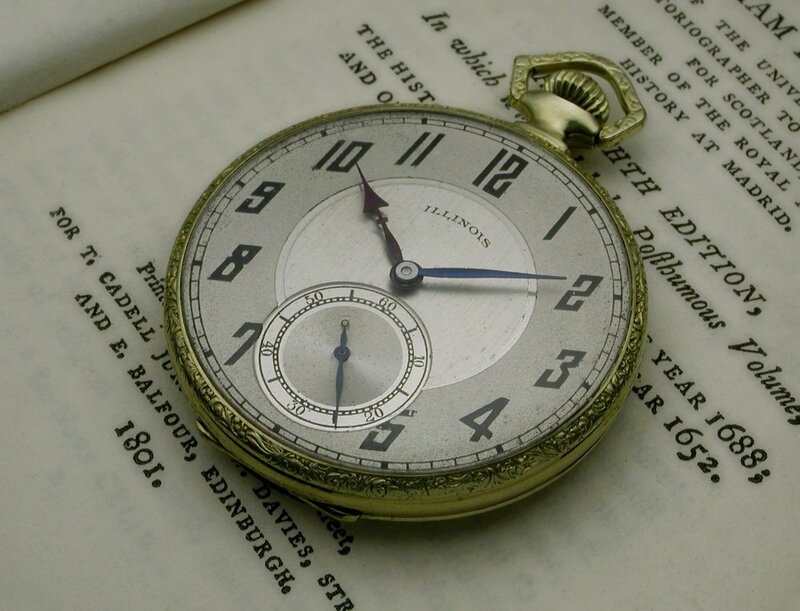 This watch has a yellowed crystal lending colour to the dial.